Enjoy the elegance of this updated ONE-STORY home in SOUTHRIDGE. 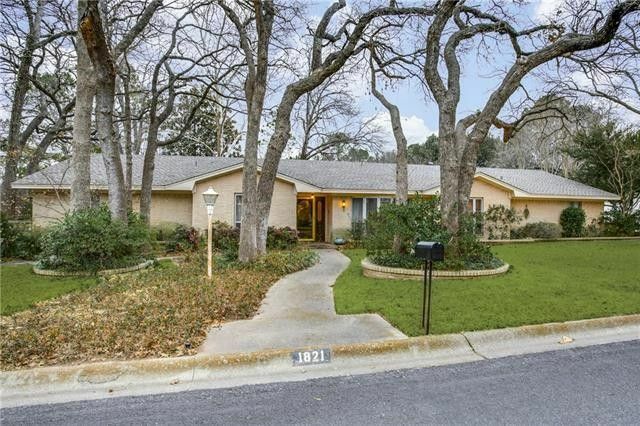 This well designed home with 2962 square feet of heated & AC'd living space offers 4 big bedrms, 3 full baths, 1 half bath, 2 dining areas & 3 living areas.With wood floors & fireplace, the big family rm opens to the breakfast rm & kitchen that have windows for enjoying the view of the .70 acre private yard, the 24X12 sunroom (AC & heat) offers a serene setting for entertaining.The master suite has an updated full bathrm with granite countertops,tiled shower & 2 walkin closets. Ideal for a study-guest suite,a 14X13 secluded bedrm has a full bath. 2 guestrooms with walk-ins share a Jack & Jill bath. LOADS OF STORAGE SPACE. 3 covered parking spaces. Directions: From Southridge Drive, take Stonegate Drive at the 1800 block. The home is a few homes off the intersection. Sign in the yard.